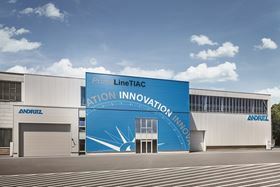 Andritz has officially opened PrimeLineTIAC, its new tissue innovation and application centre in Graz, Austria. The PrimeLineTIAC comprises a complete, state-of-the-art tissue production line, including laboratory facilities for tests and trials to develop new products and processes in the tissue sector. It is available to tissue producers and suppliers, research and development companies and universities. Customers and developers can conduct tests and trials under many different conditions, for example to optimize fibres for a specific product, improve product qualities, increase dryness and reduce energy consumption. The impact of variables such as stock preparation, chemicals, vacuum, machine clothing, pressing and drying with hot air and steam can all be measured and evaluated accurately. For the trials, Andritz experts from the R&D, stock preparation, machine design and engineering, automation and pump departments are available for collaboration and discussions. Customers can also bring along their own team of specialists. The PrimeLineTIAC has its own complete stock preparation line together with an approach flow system. Many different kinds of pulp can be processed in one production line, which is split into separate short fibre and long fibre lines. Andritz worked with a number of key partners on this project including Albany International Corp, Danfoss Drives, Fibria, IBS Paper Performance Group, Nash, Södra, Solenis, as well as Flowtec, Lantier, EDELVENT and the Kumera Corp. The PrimeLineTIAC is sponsored by the Austrian Research Promotion Agency FFG as part of its R&D infrastructure promotion program.